The fighting games from NetherRealm studios have had an up and down road when ported to the PC. While Injustice was a solid port, Mortal Kombat X experienced a plethora of problems when it was released two years ago. So when I was sent Injustice 2 to review on the PC, I was hopeful that the port would follow the previous Injustice game and offer up a solid fighting experience on the PC. 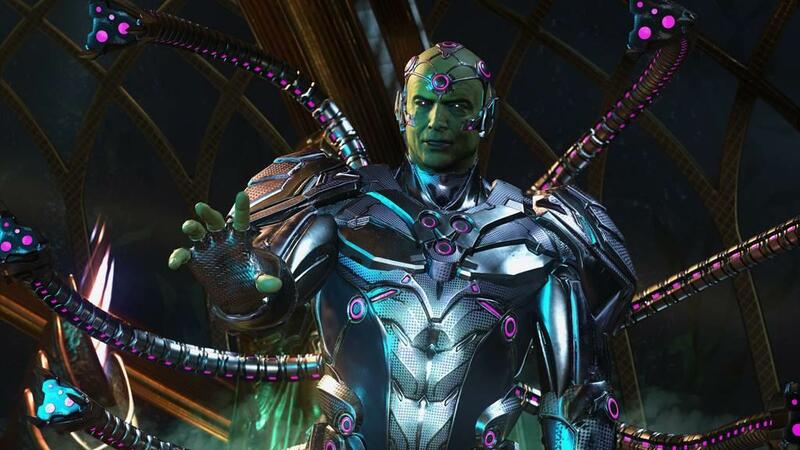 With developer Qloc doing the PC port, we got some redemption for NetherRealm’s previous port as Injustice 2 plays really, really well on the PC. Nathan Carter did a wonderful review of the game on the PlayStation 4, so I won’t rehash what he had to say about the game. Long story short, this is another great entry in the series and the story of DC Heroes fighting against each other as well as a greater threat is really solid and should appease a whole host of comic book fans. Seeing many of your favorite DC characters in a whole different light is really refreshing and if you want something different yet engaging for a DC story, Injustice 2 does it very, very well. 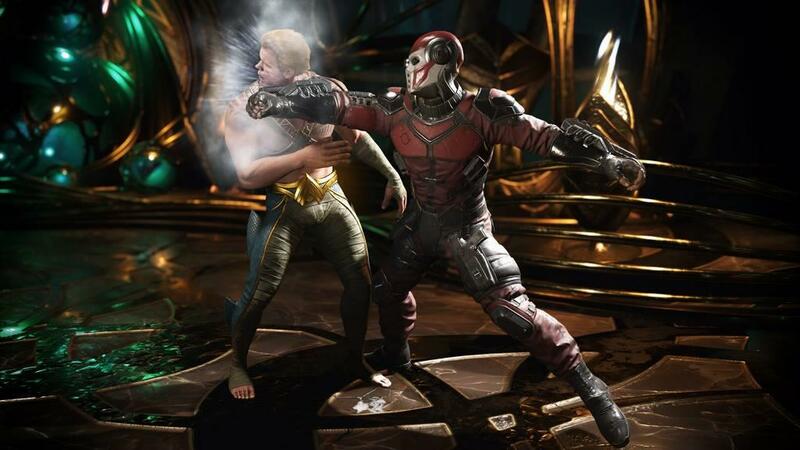 Injustice 2 has a ton of content for single players from the story mode, ad hoc fighting, and the Multiverse mode where it offers up challenges in order to earn rewards, which can be used to buy Mother Boxes. Mother Boxes are, well, loot crates. Why are there loot crates in this game? Well, you can earn different gear for all the characters that will affect their stats. Now, you can earn rewards in a lot of situations so earning enough points to purchase a Mother Box isn’t TOO bad. We’re in a time where other games are giving loot boxes a bad name, but Injustice 2’s system seems reasonable as you don’t have to grind TOO long in order to afford a Mother Box. The gear available has a ton of variety and some can really alter the appearance of your characters. 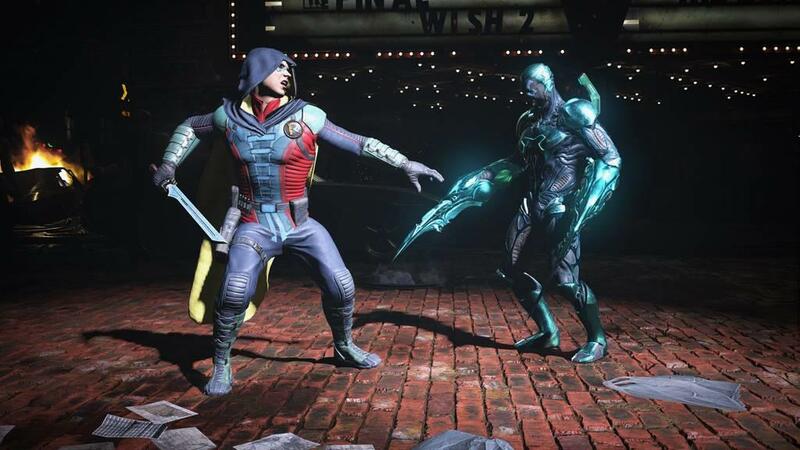 You can mix and match certain types of gear to create some unique looks for your preferred DC hero or villain. Some of the gear available will bring a smile to comic book collectors as they harken back to some classic designs, and there’s some really interesting designs that can be acquired. All told, the gear system adds another dimension to Injustice 2 and one that I really enjoyed grinding for. Joysticks or gamepads are what fighters are made for and I used an Xbox One S controller to test out Injustice 2. Oddly enough, I had problems when the controller was connected via Bluetooth. Buttons would lose their mapping even when I changed them in the menu. Viewing the setup in the Windows Game Controller setup panel, it all looked good, but once I got into the game, the controller would just fail in keeping the buttons to what I had them set as. This was all alleviated once I connected the controller to the computer with a USB cable. After that, everything worked fine and any mappings I created would stick. I don’t know why Injustice 2 has issues with the Xbox One S controller connected wirelessly through Bluetooth, but at least there was a solution to the issue. I’ll have to try other wireless controllers, but if you want the best performance in a fighting game, being hard wired is really the way to go anyways. One of the advantages of being on a PC is that you can run games faster with better hardware. Fighting games, though, should stick to 60 frames per second and Injustice 2 does just that. Even with my i7-6700K PC with a GeForce GTX 1080 running at 1080P, the game never went above 60FPS. The ideal situation is to always be at 60FPS and that was what Injustice 2 did with my setup. If you need to know whether your computer can maintain 60FPS, Injustice 2 has a nice little benchmark utility to inform you how it will perform. 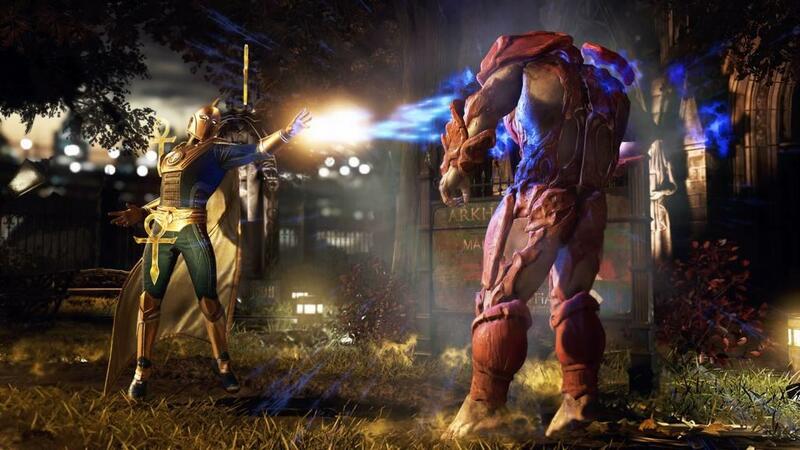 Fixed from Mortal Kombat X is the online play. While the previous game had issues with playing others, Injustice 2’s matching and action was pretty smooth. Now, this will be dependent on your connection, of course, but I didn’t have any issues when pitting my hero against others on the Internet. Which, for those who want to challenge others, is good news. 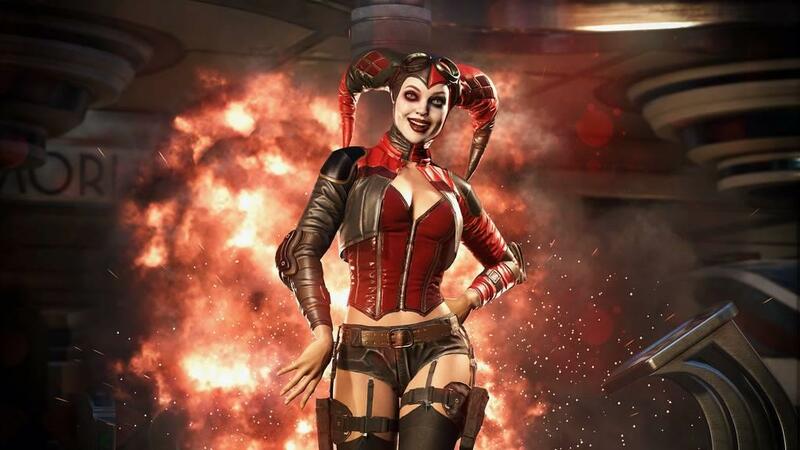 Overall, Injustice 2’s PC port is a huge success and I have very little to complain about it. The game looks gorgeous with great animation, especially in the cut scenes. Smooth fighting action and plenty to do in single player mode, Injustice 2 is worth picking up if you want a good fighting game with a large cast of DC (and some non-DC) characters to choose from.